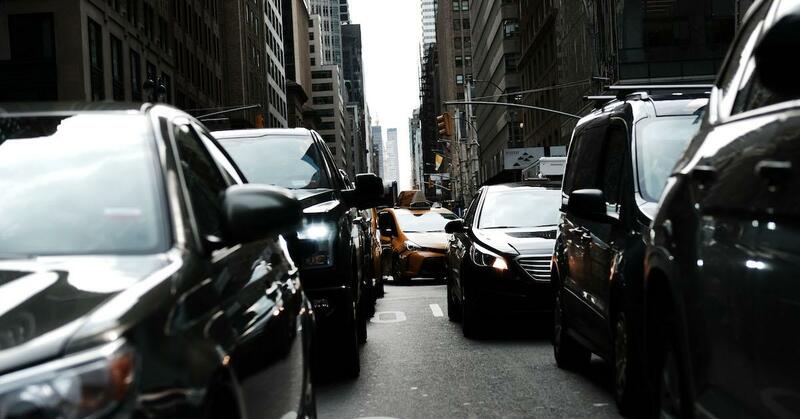 There's always traffic in Manhattan — and soon, drivers will have to pay to participate. On Sunday, March 31, New York state legislators finalized the 2020 Budget, including a clause that will introduce tolls on cars driving into midtown. Additionally, as part of approving the budget plan, lawmakers officially approved a statewide ban on stores handing out single-use plastic bags. As explained on Governor Andrew Cuomo's website, the program is called Central Business District Tolling, and it is the first program like this in the country. Here's how it works: the New York City Department of Transportation will install electronic tolling portals along the edges of Manhattan, everywhere south of 60th Street. When cars drive past these points, they will be charged a fee, which has yet to be announced. Bruce Schaller, former Deputy Commissioner for the New York City Department of Transportation, told Cheddar he estimates the toll will be around $12, which is the price of the tolls for the Midtown Tunnel and Brooklyn–Battery Tunnel. Cuomo's website added that cars will only be charged once a day. It's unclear how this toll will affect taxi rides and ride-hailing apps, or if the tax will apply at all hours of the day. New York City will become the first city in the U.S. to charge drivers a toll for entering its busiest areas, aiming to raise $25 billion to fix its infrastructure. The program will launch as soon as December 31, 2020, though it could wind up starting a bit later. Additionally, another clause of the 2020 Budget is the Enacted Budget, which makes sure that all of the revenue from these tolls will go to the MTA, to help improve public transportation in NYC. This new toll may discourage people from driving into midtown Manhattan, and instead encourage them to opt for more eco-friendly options, such as public transportation and bikes. And then when drivers do still drive into Manhattan, the toll they pay will go towards improving public transportation, and an improved subway system may further encourage people to forgo car rides. As the Department of Environmental Conservation explains on its website, in urban cities, motor vehicles are the greatest cause of ground-level ozone pollution, which contributes to health issues including coughing, shortness of breath, and lung damage. Cars also generate other pollutants including hydrocarbons, nitrogen oxides, and carbon monoxide, the DEC added. So if this toll helps reduce cars on Manhattan's congested roads, the city's environmental impact could go down, and residents could experience improved air quality. The other sustainability aspect of New York's 2020 Budget is the plastic bag ban. As the New York Times explained last week, beginning in March 2020, every store across New York state will no longer be allowed to give customers single-use plastic carrier bags. Stores will be allowed to sell paper bags for 5 cents each, only in counties that elect to be part of the paper bag program. Those 5-cent fees will contribute to a new fund to provide reusable bags for consumers, as well as the NYS Environmental Protection Fund. The state hopes this will incentivize customers to bring their own bags to the grocery store. And considering the fact that New Yorkers use 23 billion plastic bags annually, according to the NYS Plastic Bag Task Force website, the ban is going to make a huge difference in curbing New York's consumption of single-use plastic.